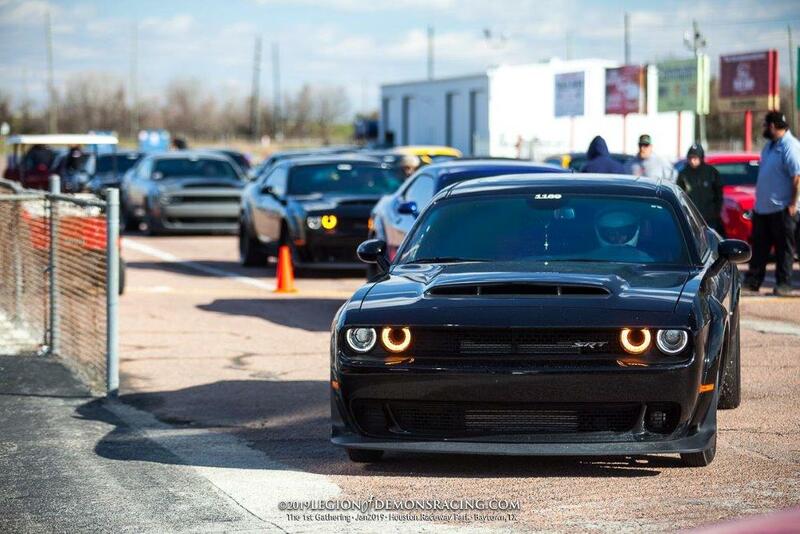 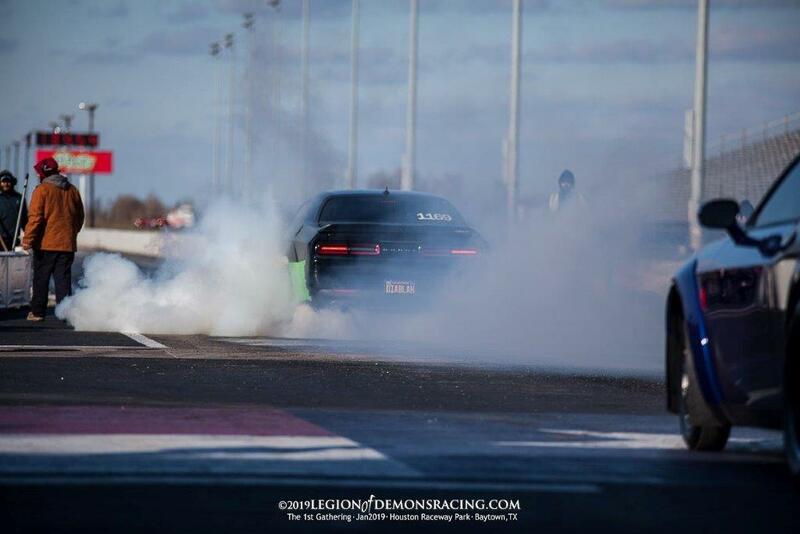 The Legion of Demons Car Club racing event was a privately organized event held in Houston, Texas back in January. 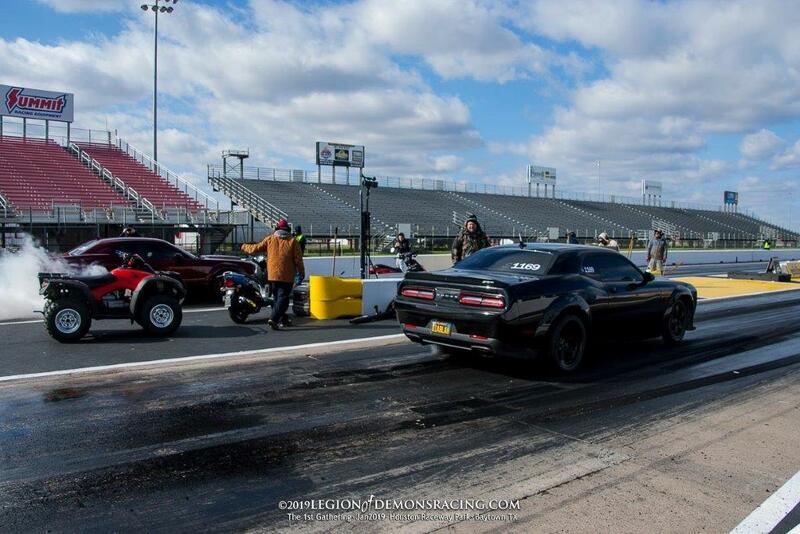 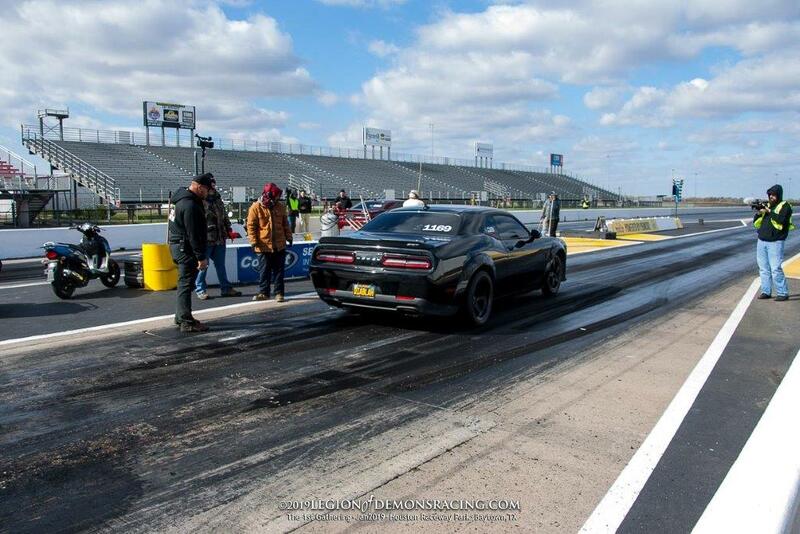 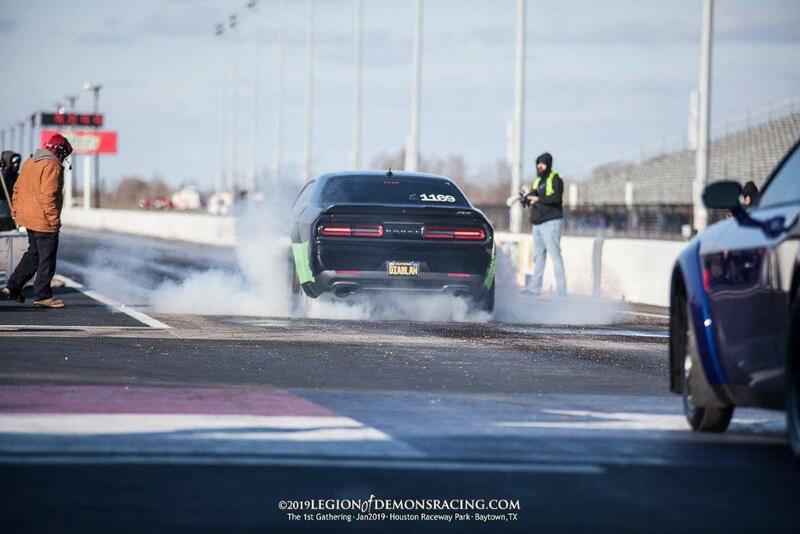 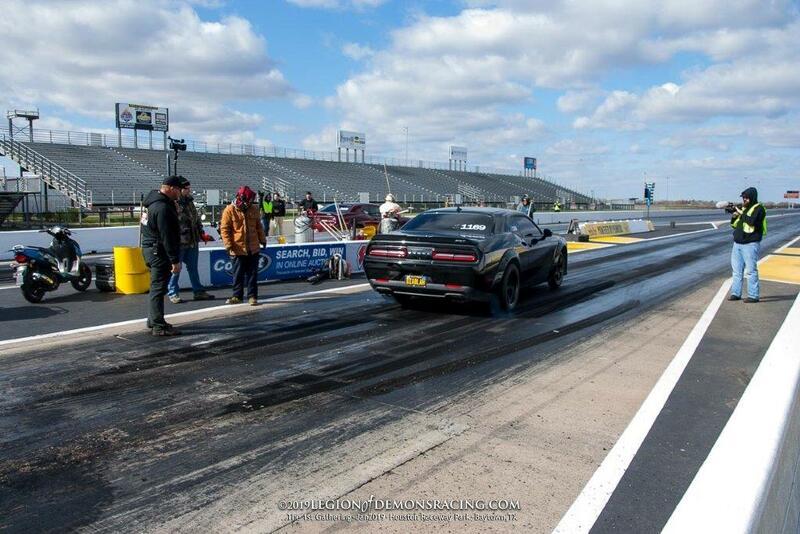 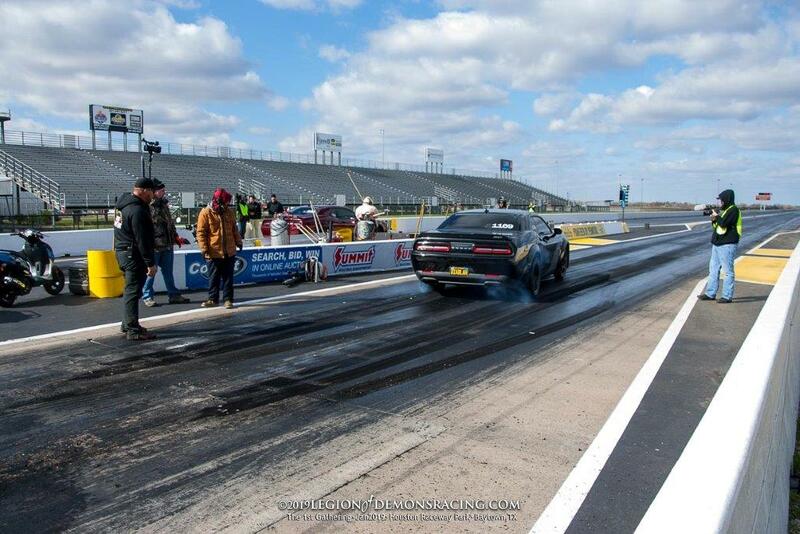 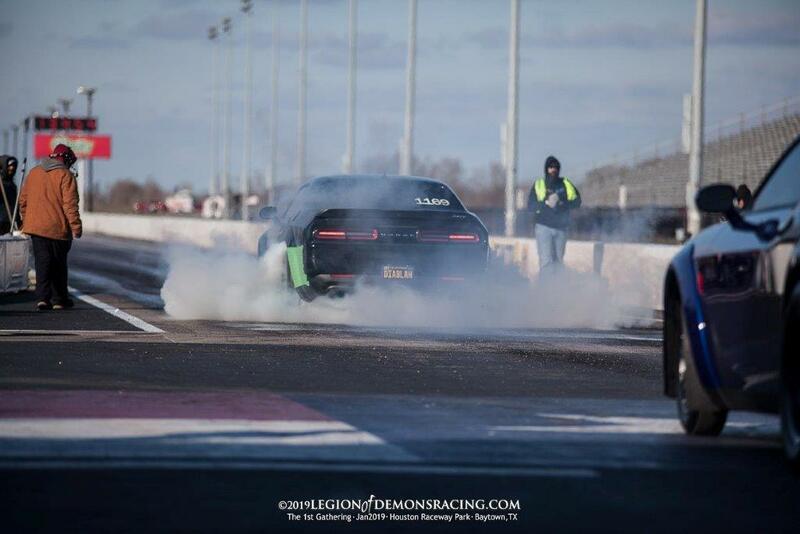 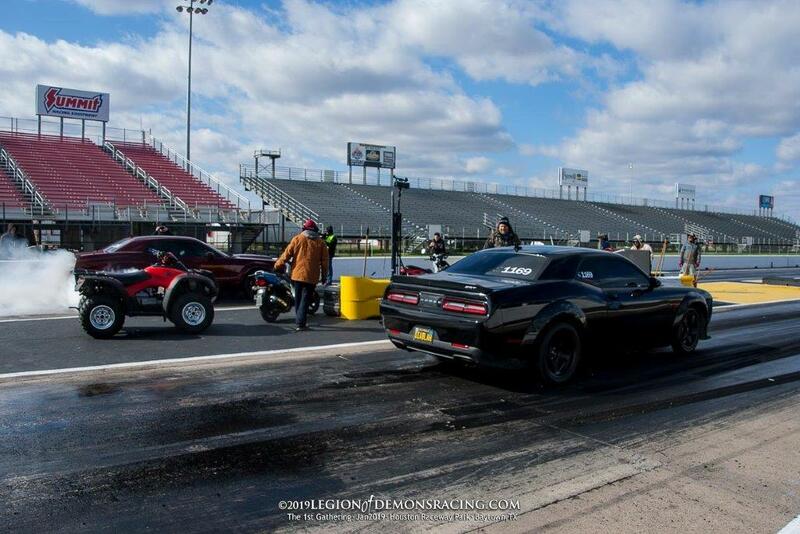 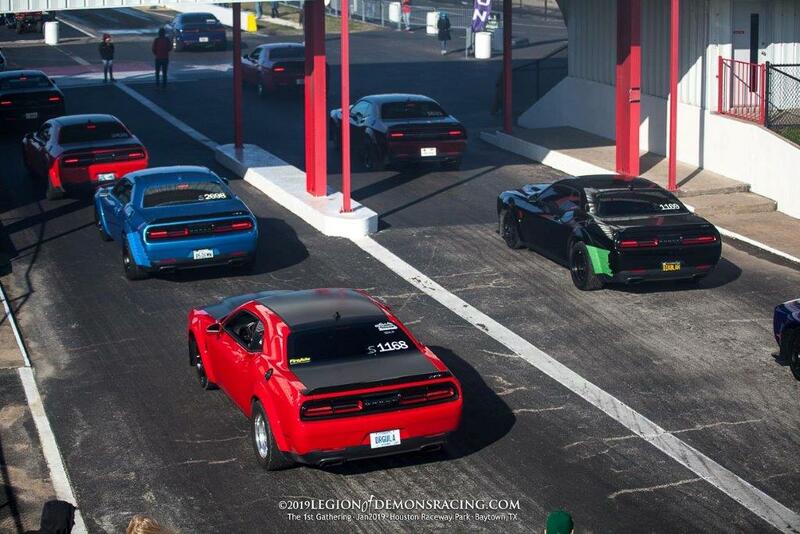 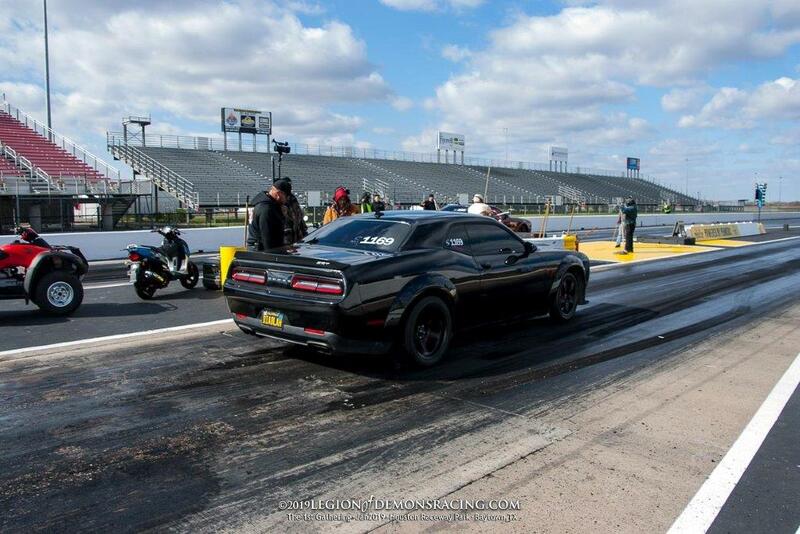 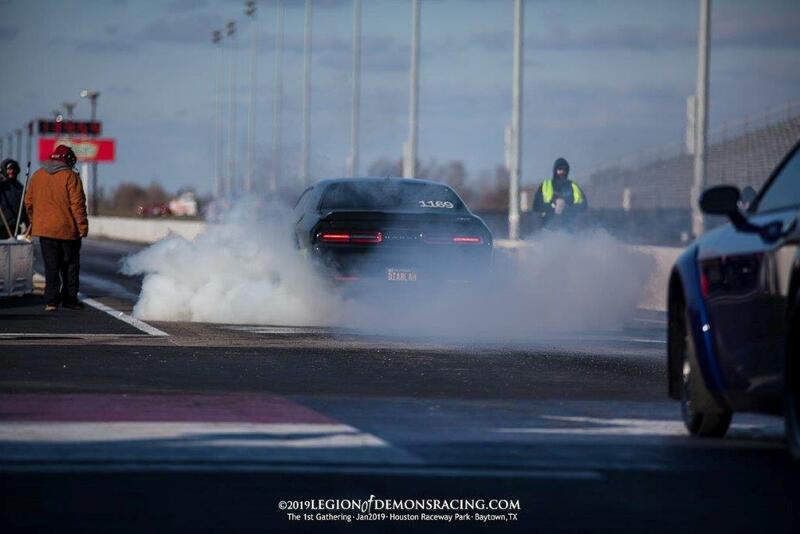 Owners of 48 Dodge Challenger SRT Demons gathered for a weekend to race, with many drivers recording their best personal times. 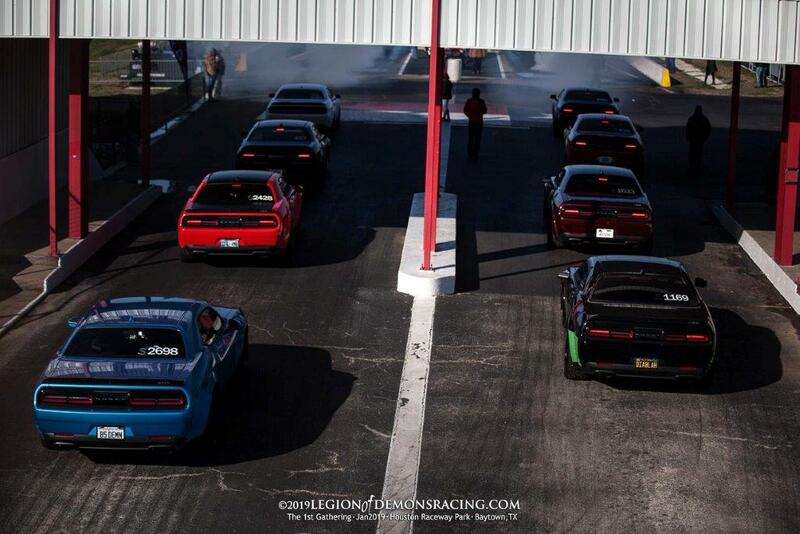 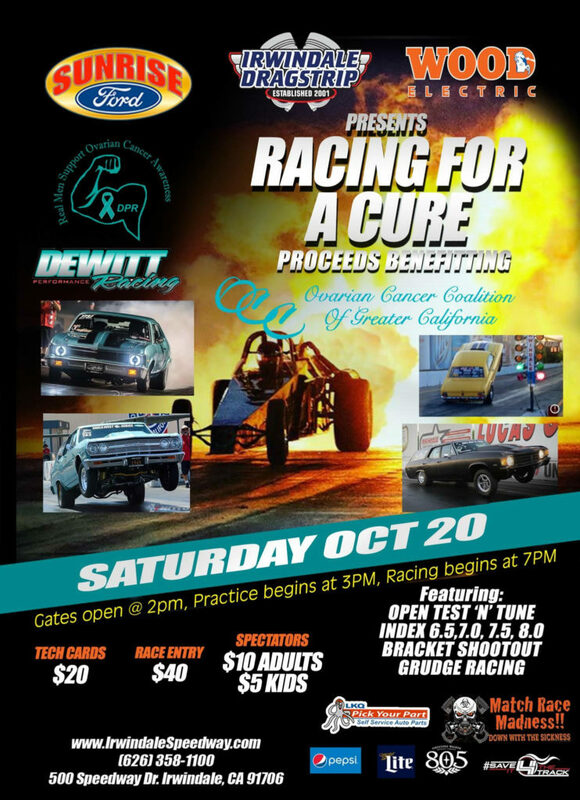 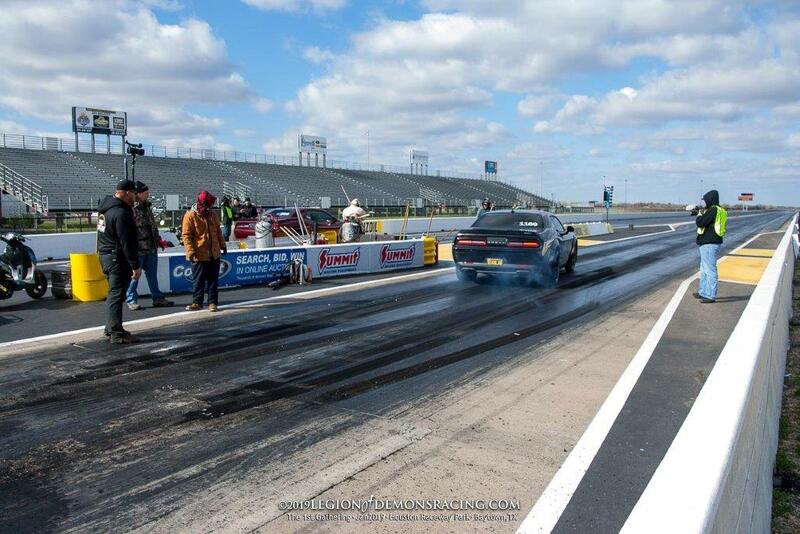 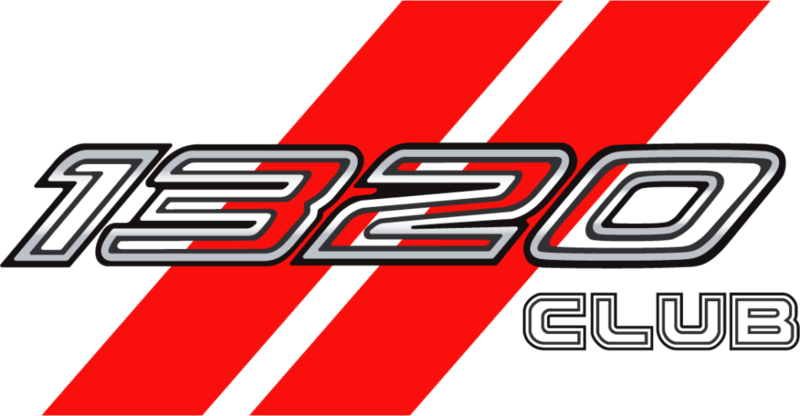 The event was designed specifically for Demon owners to come together to race, share tips and score their best times. 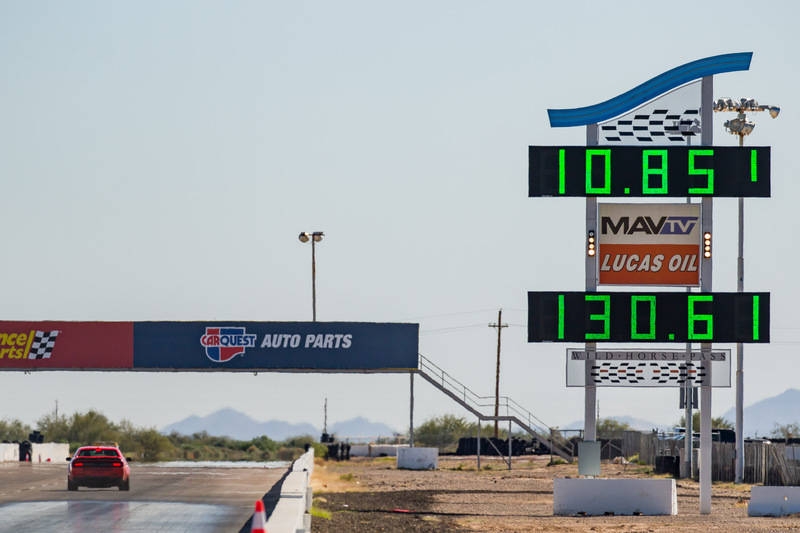 After racing in the event, I got the current record for for the Stock Power, Stock Tires category at 9.935@136 as a Single Seat with Sunroof! 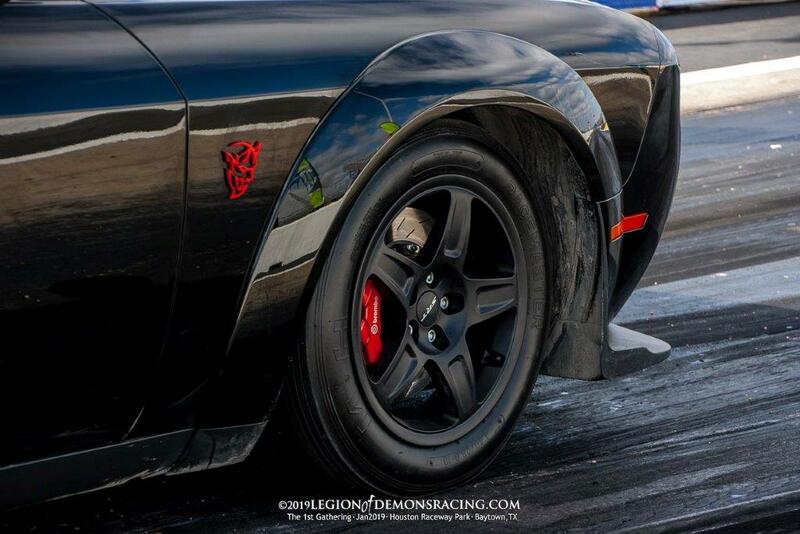 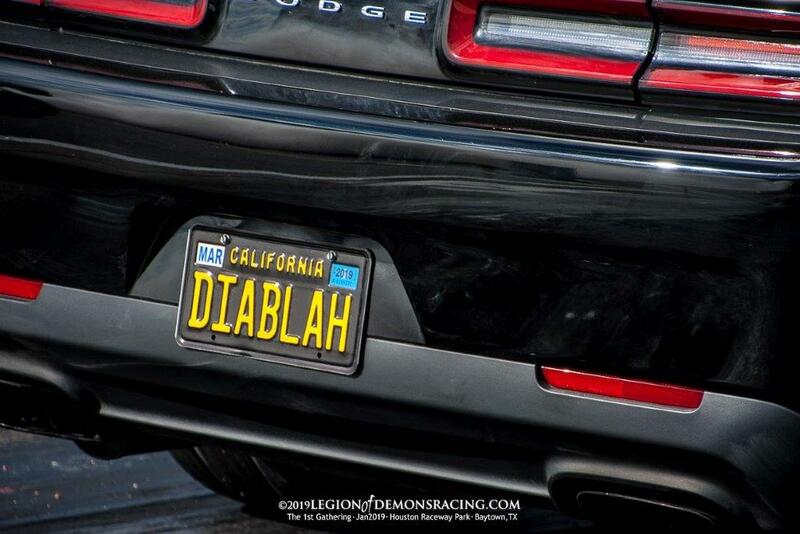 All photo credit goes to Legion of Demons Racing.